Rooting for the underdog has been a pattern in my life. I like to see people succeed when many thought they could not. 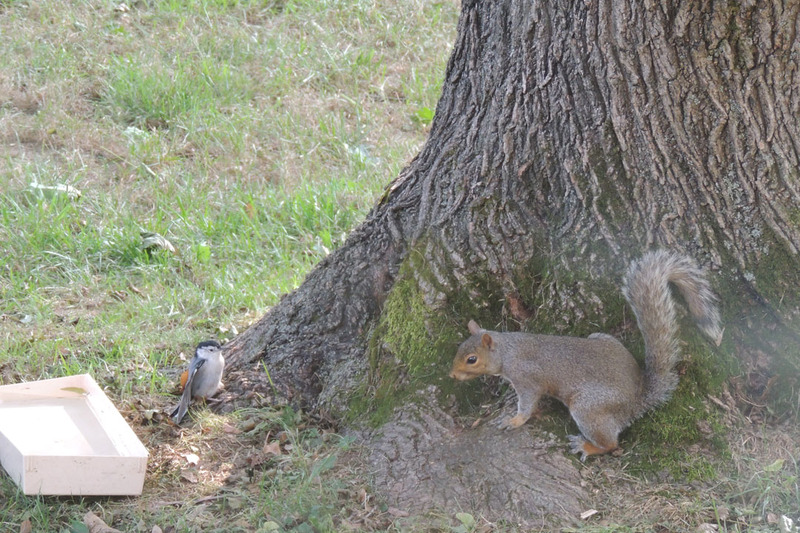 Last summer I captured an interaction between a nuthatch and a gray squirrel which was a battle of the underdog. 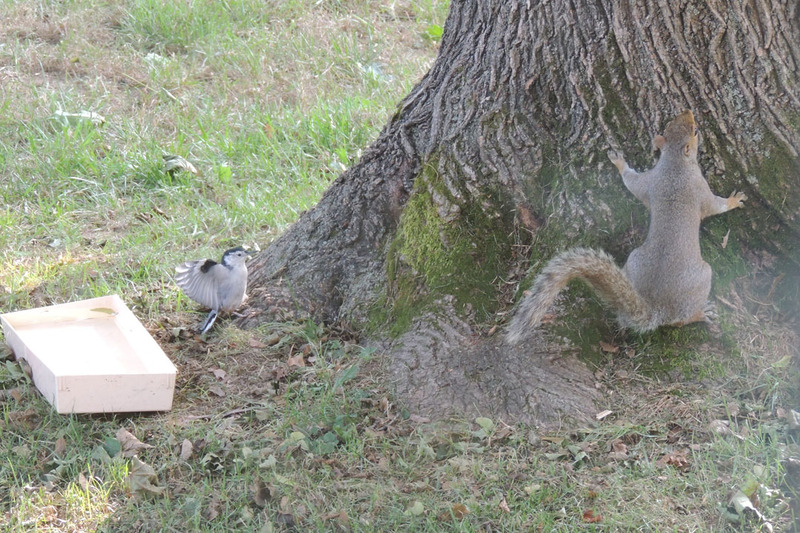 With the nuthatch being the smaller of the two, it looked like an easy victory for the squirrel. Because the weather had been dry, we filled a plastic dish with water and placed it under the tree for the birds, squirrels and other animals. 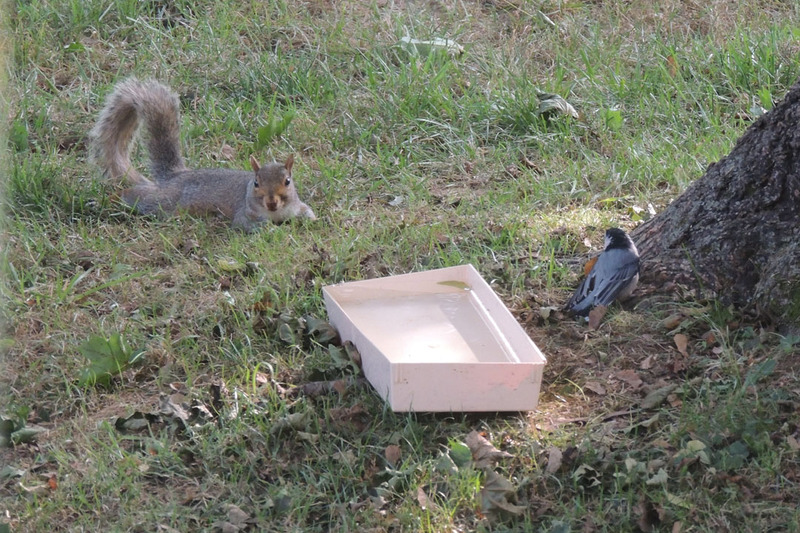 On one particular day the nuthatch decided it was her water dish and she wasn’t sharing. Mr. Squirrel attempts to get to the water dish. Ms. Nuthatch flares her wings, yells something in bird-speak and Mr. Squirrel turns to run up the tree. Mr. Squirrel decides maybe he can sneak around the other side of the dish. Ms. Nuthatch will have nothing of it. Her glaring eyes keep him at bay.